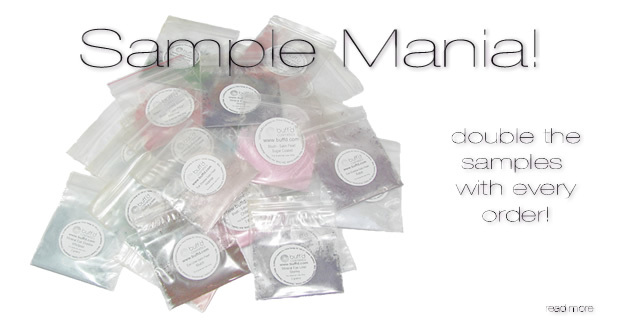 With every order, we normally include a minimum of three complimentary samples. But right now, with every order, we are doubling the number of complimentary samples! For a limited time, every order will include a minimum of SIX complimentary samples. Samples will be chosen at random but will include shades that work well together. Samples may include Setting Powders, Finishing Powders, Color Correctors, Blushes, Bronzers, Illuminating Dusts and even Eye Shadows and Pigments. It's a great time to try some new shades - on us!